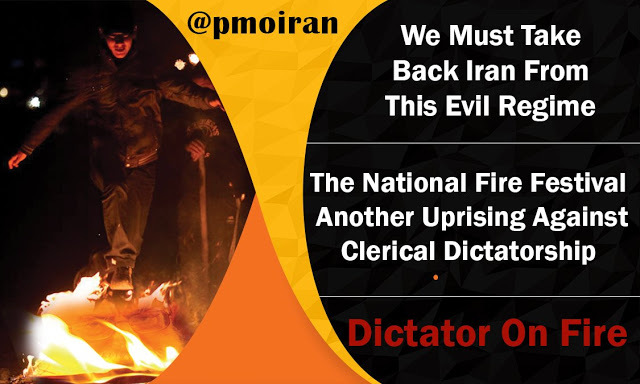 March 16, 2019 - As the national Fire Festival nears for Iran, senior police and judiciary officials are increasing their oppressive threats in a desperate attempt to prevent the Iranian people from turning these festivities into anti-regime protests. These remarks also indicate how senior regime officials are paving the path for nationwide crackdown measures. Hossein Rahimi, head of state police in Tehran, expressed concerns over the possibility of these festivities evolving into major protests and uprisings. March 15, 2019 - Resistance units in Iran have conducted over 100 anti-regime activities in various cities across the country in the past three weeks (since February 20, 2019) despite severe repressive measures by the Iranian regime. 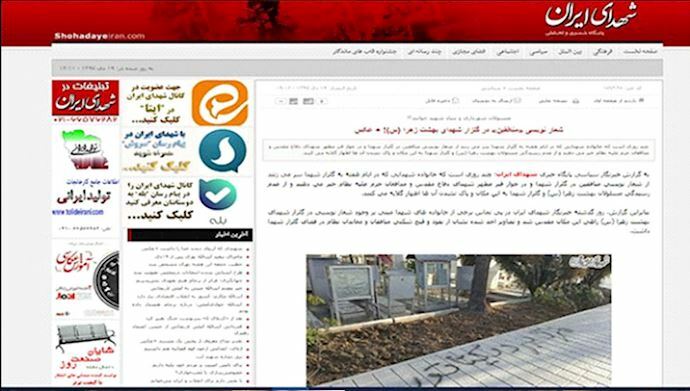 The units carried out protest actions in Tehran, Salmas, Uroumieh, Babolsar, Esfahan, Karaj, Chahbahar, Andimeshk, Makou, Khorramabad, Semnan, Abadan, Hendijan, Khoi, Zanjan, Amol, Golpayegan, Sabzevar, Neyshabour, Delijan, Azarshahr, Qazvin, Kazeroun, Dorood, Miyandoab, and other locations. 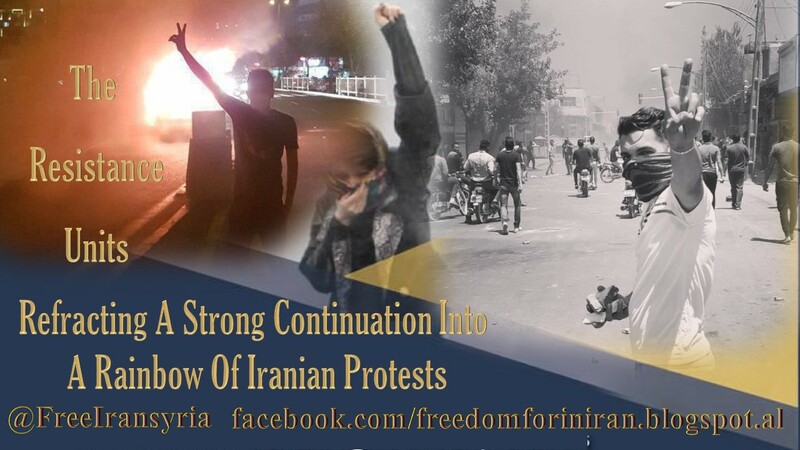 As protests continue unabated in Iran, Regime officials have begun voicing their fears about how the Iranian Resistance and their network of activists are organising and directing the protests in order to do the most possible damage to the Regime. The Regime may have its factional squabbling – largely the result of many terrible people clamouring for the ultimate seat of power – but they all agree on one thing: the Iranian Resistance is the biggest threat to their continued rule. However, they rarely acknowledge that fact, so this shows just how scared they are. 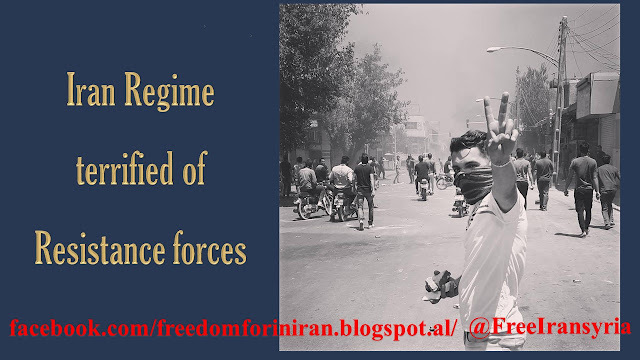 Resistance units lead the uprisings bravely in every street and village in occupied Iran. These units have imposed an uncontrolled condition on the regime on one hand, and on the other hand, they themselves have become the point of hope and motivation for the Iranian people against the mullahs’ regime; they will guide the society towards the revolution and the regime’s overthrow. As the resistance units were introduced to the Iranian society, since Dec. 28, 2017, the condensed crises within the society entered a new stage. Social protests across the country increased and the Iranian people became fearless in expressing their demands this in turn has resulted in radicalized position taking of foreign governments towards the mullahs’ regime. Sept. 4, 2018 - Gholam-Hossein Gheibparvar, commander of the Iranian regime’s Revolutionary Guards Bassij, said there will be drills conducted by his forces soon. 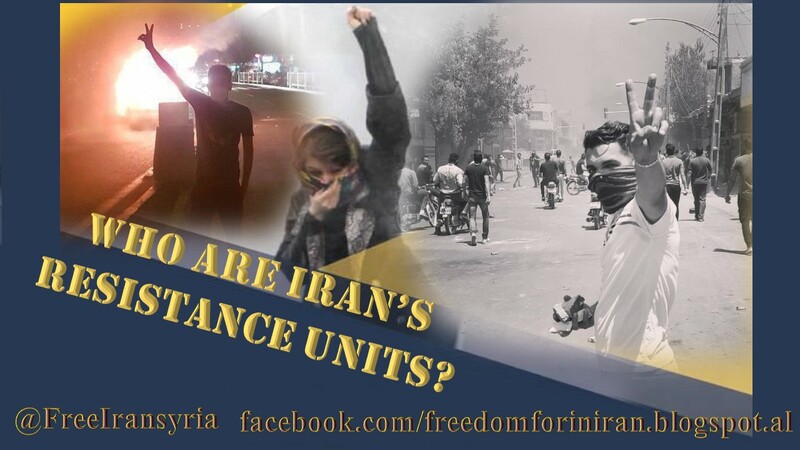 It is no secret that Iranian mullahs have frequently tried to demonise their legitimate opposition movement, the People's Mojahedin Organization of Iran (PMOI/MEK), in the eyes of both the Iranian people and the international community. Indeed, Iran is so scared of the power of the MEK, that they consistently use malign disinformation campaigns (using fake news and lying agents) to discredit the MEK’s legitimacy, use their suppressive security forces to arrest, torture, and murder MEK members, and even pursue MEK dissidents abroad to assassinate them on the streets of Europe. A new and extensive report from Struan Stevenson, coordinator of the Campaign for Iran Change, explains how Iran has spent the past 40 years trying to destroy the MEK’s reputation and even eliminate the MEK as a whole. The most egregious crimes of the mullahs against the MEK included getting the MEK wrongfully placed on terrorist watch lists in the West, banning the MEK as a political movement inside Iran, and massacring 30,000 MEK members and supporters during the summer of 1988. The People's Mojahedin Organization of Iran (PMOI / MEK) has been instrumental in raising awareness about the plight of the Iranian people. The MEK has extensive support in Iran and has a huge following outside the country. The Iranian regime has, for years, tried to discredit the MEK, saying that it has very little support among the Iranian people. 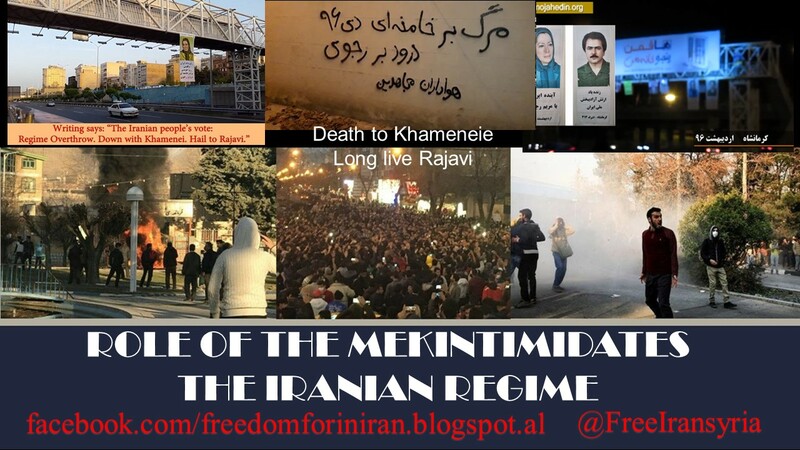 The MEK, however, was recognised by the Iranian regime as being the main organiser of the protests that swept across the country at the end of last year. It can no longer claim that the MEK is insignificant – the MEK represents a very real threat to the Iranian regime. Furthermore, at the beginning of this year, it was reported by Agence France-Presse (AFP) that Iranian President Hassan Rouhani asked the French President Emmanuel Macron to take action against the MEK. President Macron of course had no reason to act against the MEK, so the Supreme Leader threatened to execute MEK protesters. The MEK has a long history of being targeted by the Iranian regime. 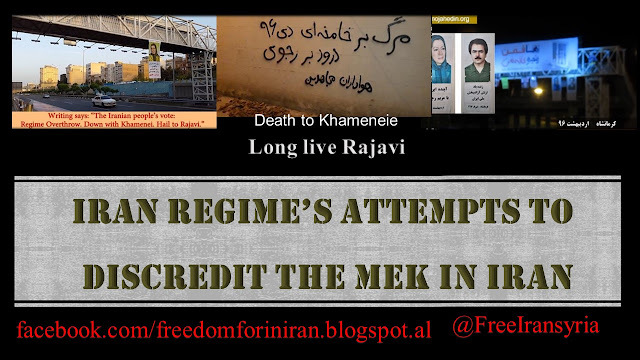 Many MEK supporters were executed during the so-called 1988 massacre. More than 30,000 political prisoners, most of whom were affiliated to the MEK, were executed during the space of one single summer. To this day, no one has been held accountable for the crime against humanity and the MEK and families are still campaigning for justice. It is no secret that the Iranian mullahs have spent years trying to smear the People's Mojahedin Organization of Iran (PMOI/MEK) within Iran. They would do anything to stop the Iranian people joining the MEK, even going so far as to ban the MEK in the 1980s. When that didn’t work, the regime turned to state-sponsored propaganda, in the form of attack websites, fake documentaries, and even anti-MEK propaganda exhibitions. Earlier this month, days before Hassan Rouhani, the Iranian regime’s president, was bound for Europe, authorities in Belgium, France and Germany declared having foiled a terrorist plot that had been orchestrated by one of the regime’s diplomats in Austria. The terrorist attack was aimed against the Iranian opposition gathering in Paris, where tens of thousands of people had gathered to support the PMOI/MEK and NCRI’s efforts for regime change in Iran. The question is, why would the regime engage in a terrorist attack against its main opposition, which would undermine the very purpose of its own president’s European tour and his efforts to gain support for his failing foreign policy?